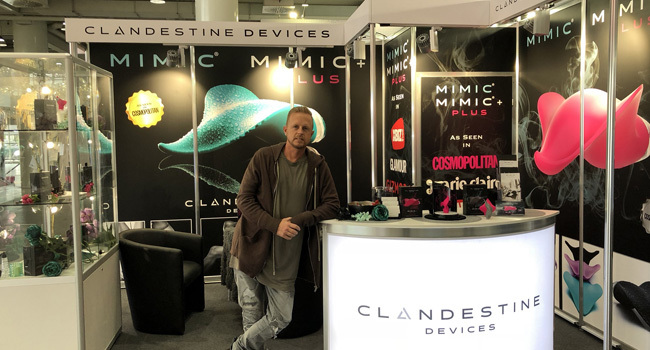 eroFame ’18 in Hannover, Germany was abuzz with the latest pleasure devices on display at its annual event last week, with Clandestine Devices’ brand-new MIMIC + PLUS luxury personal massager grabbing the lion’s share of attention on the convention’s busy showroom floor. 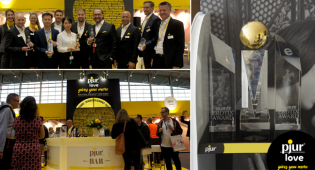 The curvy, colorful adult toy, which features a slightly larger body shape, more intense pulsations and more powerful battery, was officially introduced in July at ANME Founders Show, and its international debut at eroFame made a similar splash with the show’s curious attendees. The MIMIC + PLUS handheld rechargeable toy is made of FDA-approved silicone, waterproof and offers six speeds/intensity levels, eight vibration patterns, with a new magnetic charging connection that gives over two hours of pulsations on a single charge. 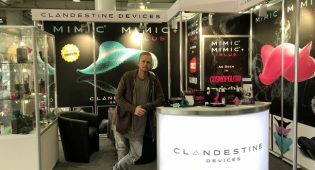 For more information visit Clandestine Devices.